Hollywood Movie Stills: Art & Technique In The Golden Age Of The Studios, by Joel W Finler, is "the first ever attempt to explore the role of the movie stills photographer in all its different guises." 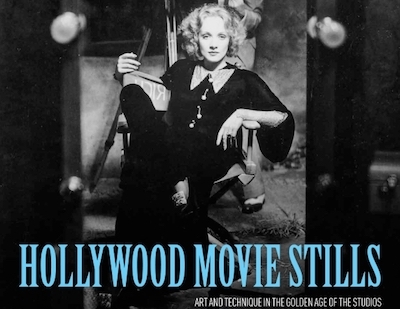 It covers the history of publicity stills from the beginning of the American studio system until the early 1970s, with chapters on star portraits, film stills, and behind-the-scenes photography. The dust jacket accurately describes it as "the most detailed and perceptive study ever devoted to this neglected aspect of film-making." The book's black-and-white photographs include some rare images, such as Marlon Brando recreating a scene from A Streetcar Named Desire with a stand-in for Kim Hunter, alongside classic stills from Casablanca, Citizen Kane, and The Seven Year Itch. The A-Z appendix is brief and superfluous, though the bibliography has been expanded from previous editions.